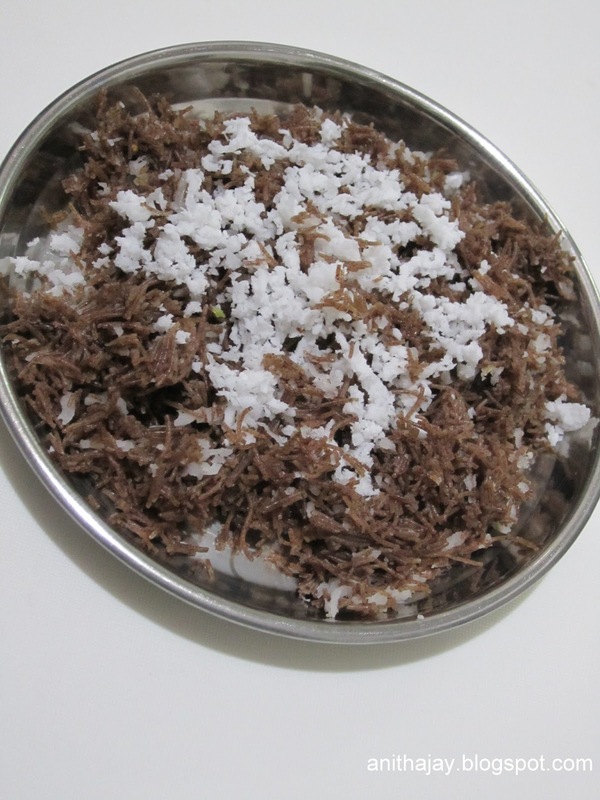 Ragi Semiya Puttu is a quick and healthy recipe which can be prepared using instant Ragi semiya. It can be a good breakfast or evening tiffin . I used Anil Ragi semiya. Unpack the Ragi semiya packet in a bowl. Add enough water and soak it for 3 minutes. After 3 minutes drain the water and steam cook the ragi semiya for 10 - 15 minutes. Take cooked ragi semiya , add sugar,grated coconut and cardamom powder. Very healthy and tasty too. Thx for linking.